Just a quickie post to introduce two new – well, things. 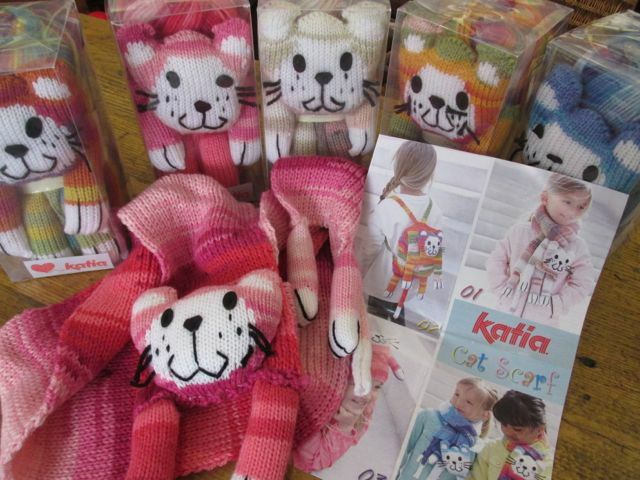 These kits – cat kits – are from Katia (appropriately! ), who generally have their finger right on the pulse of what’s about to happen. What you get is a ball of wool and some pre-made parts: the cat head, legs and tail. You then use the ball of wool to either knit a cute hat or scarf, or crochet a sweet backpack, and attach the parts in the right place according to what you’ve knitted (or crocheted). They are rather cute, and come in different colourways. They’re £13.50 and are perfect for any small girls in your life! It will be a really quick knit, and a very satisfying one. 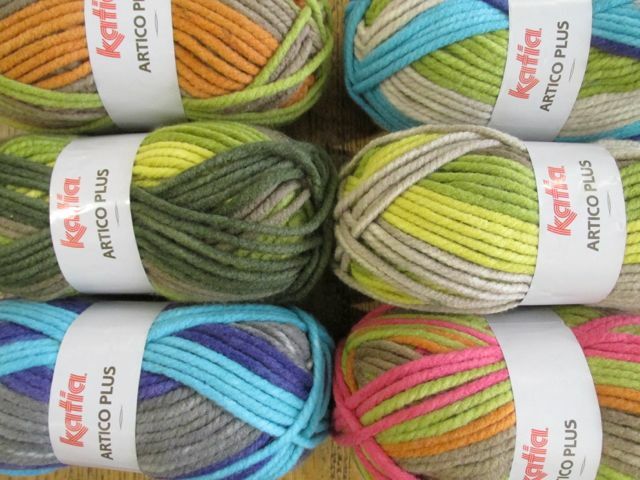 Katia do these self-striping yarns so very well (we – everyone who visits Knit One as well as those who work there, including Bramble – all love their sadly discontinued Tobego, which we sometimes manage to get, cough, cough), and this should be another winner. And a satisfyingly swift one to complete, too – and again, bang on trend, as they say. 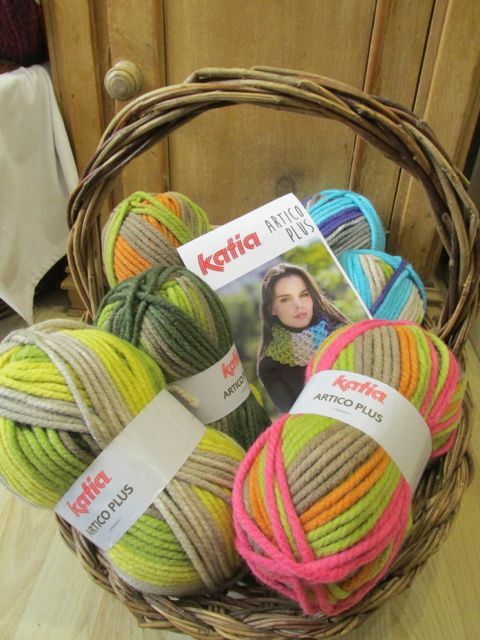 Apparently BIG cowls – and big knits all round – are going to be in this winter. You heard it here – if not quite first, then early enough to get those needles out!